The National Pension is Japan’s government-run system that provides basic pension benefits to individuals. It is compulsory for all individuals, aged 20-59 years, who are registered residents of Japan. This means that even foreign nationals who are residing in Japan for work purposes are required to participate and be covered by this system. The National Pension system is designed to provide citizens and Japanese residents – regardless of nationality – pension services in old age. It also provides survivors’ pension and disability pension, covering untoward incidents that may result in financial difficulties. The government subsidizes part of the pension benefits and all public pension contributions are subject to tax deduction. Japan’s pension system is divided into three categories. The type of scheme you will enrol in depends on your specific situation, including you will be contributing to your pension. Category I Insured Persons – This category covers all individuals in Japan, aged 20 to 59 years, who are not covered under Category II or III in the system. Non-Japanese residents who are enrolled in this scheme are required to update their residence first at their local Municipal Office. Enrolment into the National Pension system will be done through the Municipal Office as well. As this is an individual contribution category, pension payment notices are sent by the Japan Pension Service. Category II Insured Persons – This category is for all employed persons in Japan, regardless of nationality. Enrolment into this category is handled by the employer under various employees pension systems including the Employees’ Pension Insurance System. Contributions are deducted from your salary and payments are done by the employer on your behalf. Category III Insured Pensions – This category is for dependent spouses of insured individuals. For dependents whose spouses are employed, enrolment and contributions are processed through the insured person’s employer without cost to the dependent. For dependents of Category I insured persons, enrolment is done through the JPS Branch office and contributions are also processed through the said agency. There is a simple workflow for determining which category under the National Pension System you are supposed to fall under. Anyone who is employed by a company, factory or any kind of a workplace will be enrolled under Category II Insured Persons. The company is responsible for enrolling the individual to an appropriate employees’ health insurance system and employees’ pension insurance system. It is important to note that employees under this category may include temporary workers and part-time staff. Please refer to your company guidelines for this matter. Enrolment into the National Pension System is mandatory. If the company does not enroll you in a pension insurance system and/or health insurance system, please notify the Japan Pension Service for proper action. Individuals regardless of nationality and employed in a covered workplace – that is, any HOJIN corporation or a private workplace that employs 5 or more regular workers excluding inns, restaurants and hair salons – should be covered under the Employees’ Health Insurance System. This system provides insurance benefits for you and your dependent family members in the event of sickness, injury, childbirth or death. Foreign nationals who have been granted a resident period of longer than 3 months under the Immigration Control Act are required to enroll in a proper public health insurance as well. For individuals aged 75 years and older, the Medical Care System or Koki Koreisha Iryo Seido applies. Coverage under the Employees’ Pension Insurance is also mandatory regardless of nationality. If you are not a regular employee, you need to be enrolled in and covered under the National Pension System. The two are similar in that they both provide pension benefits in your old age as well as in the event of disability or death. Do note that eligibility conditions will apply. Foreign nationals who have lived in Japan for a time and who intend to move out of the country may also apply for Lump-Sum Withdrawal Payments or totalized benefits if Japan has a bilateral social security agreement with your home country. Lump-Sum Withdrawal Payments for Employees’ Pension Insurance is subject to a 20.42% tax deduction. You could, however, claim a tax refund. For more details, visit the National Tax Agency website. Individuals who are not employed by any entity and are aged 20-59 years are required to handle their pension contributions by themselves. They are going to be enrolled under Category I Insured Persons through the Municipal Office. Non-Japanese students who work part-time for a maximum of 28 hours per week are also classified as Category I Insured Persons and are therefore required to enroll into an appropriate health insurance and pension system on their own. You get a pension handbook after you have been successfully enrolled in a health insurance and pension scheme. This handbook proves your identity when you inquire about or apply for benefits. It’s important to keep your pension handbook with you at all times. In case of damage or loss, Category I insured individuals may apply for a new handbook at their local Municipal Office or JPS branch. For Category II and III insured people, they need to coordinate with their or their spouse’s employer to arrange for a reissue. It’s important to stay current on your monthly contributions to the National Pension System for you to be able to take advantage of the pension and health insurance benefits. Monthly contribution notices are sent to Category I Insured persons by the Japan Pension Service. Payment can be made through banks and other financial institutions, convenience stores and post offices. You may also arrange for automatic payment through online bank transfer. Meanwhile, for Category II and III insured persons, monthly payments are deducted from the individual’s salary and paid on his behalf by the employer. The monthly contribution for the national pension is s ¥16,340 (for the fiscal year 2018). Discounts will apply for advance payments on future contributions as well as for advance payments made through automatic bank transfer instead of cash transactions. Individuals who are having difficulty making the monthly pension contributions may apply for payment exemption through the local Municipal Office. JPS will assess each individual’s case and may grant either a full or partial exemption depending on the individual’s previous year’s income as well as his current circumstance. Certain conditions may make you eligible to apply for exemptions. These include receiving Disability Basic Pension or Public Assistance under the Livelihood Protection Act as well as if your previous year’s income is low. Exemptions may range from a full exemption to ¼, ½, and ¾ exemptions. There is also a postponement for low-income individuals. Students may also avail of a special payment system. Failure to pay the remaining contribution due will be considered a non-payment and not a partial exemption. Under the deferred payment system for national pension contributions, individuals can pay contributions due in the past five years because of the payment period expiration from October 1, 2015 to September 30, 2018. This scheme allows you to increase your pension benefits or become eligible for benefits if you have not been eligible previously. At the age of 65, individuals contribution to the National Pension System and Employees’ Pension Insurance System may receive Old-age Basic Pension. To qualify for this benefit, you need to have contributed to the system for at least 10 years. Coverage period includes contribution-exempted periods as an insured person. You get your old-age basic pension when you turn 65. But some people choose to receive their benefits earlier after age 60. The pension amount varies depending on the age when you started receiving your benefits. You can also choose to receive a lesser amount before you turn 65 or an increased amount when you turn 65. 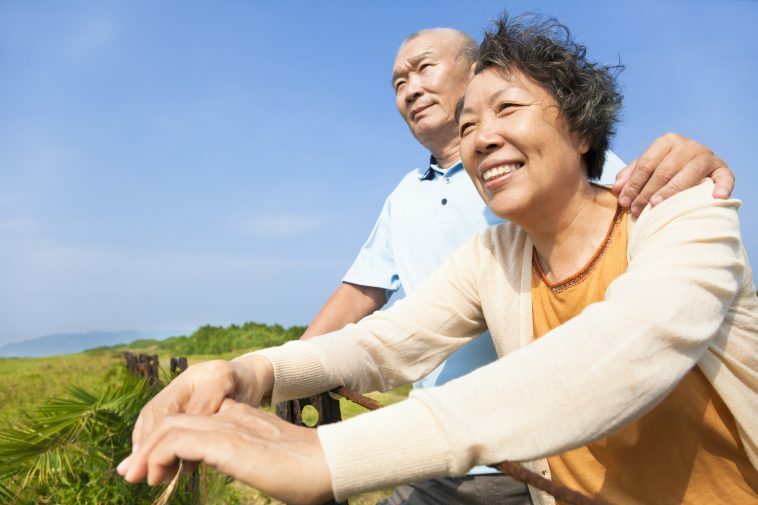 Enrolling and contributing to the Japan National Pension System is mandatory for all residents in the country, regardless of nationality. It ensures that you are covered in the event of old age, disability and death. If you are employed, you may enrol into this system through the Employees’ Pension Insurance and Employees’ Health Insurance System. Your company should be able to arrange this for you. Unemployed dependent spouses are also required by law to enrol as Category III insured persons through their spouses’ company at no cost to them. If you are not employed, you still need to enrol into the Pension System as a Category I insured person. You must make your monthly contributions to the Japan Pension Service on your own, however. Check with your local JPS branch for more details on how to make contribution payments to your pension account. How can I be sure that I am enrolled in a pension system and will receive my pension? If you are a person of 20-60 years of age you are enrolled in a system for sure. The type of your contribution and form of payment may vary, but the system covers everyone. You will be instructed on how to enroll by the local immigration office, your employer, or other person or institutions you are dealing with depending on your status in Japan. Contributing to the system is an obligation set by the Japanese Laws. As a businessman what kind of pension plan will I be enrolled in? As a business owner, you fall under Category I and will have to pay your own pension by making monthly contributions to the Pension System of Japan. How much do I get under the Disability Basic Pension? Grade 1 Disability Basic Pension is ￥974,125 per year while Grade 2 Disability Basic Pension is ￥779,300 per year. If you have underage and eligible children, the disability benefit will be paid to your dependents until the first March 31 after the child turns 18. The first and second child will receive ￥224,300 each while third and subsequent children shall receive ￥74,800 each. How do you become entitled to Disability Basic Pension? Disability Basic Pension kicks in when an individual is deemed disabled as specified by law. To be eligible for this benefit, you must be covered by the National Pension Insurance system from your first medical examination on the sickness or injury that caused the disability. Also, prior to the date of your first medical checkup, your contributions (both full and exempted periods) should be two-thirds of the total coverage periods up to two months before the examination month. My spouse has been contributing for 10 years as a Category I Insured person but has passed away before he can receive pension. Can I still receive his benefits on his behalf? If your spouse dies before he or she can claim pension benefits, you will be entitled to Widow’s Pension as long as you are aged over 60 but under 65. To be eligible for this pension benefit, you must be married to him for at least 10 years is dependent on him at the time of his death.